Home / Reviews / Jurassic World: Fallen Kingdom 4DX Review! It’s Like A Theme Park Ride In A Movie Theater! I always tell people that going to the movies should be an experience and an event that you look forward to. I think that’s been lost over the years and the thrill of heading into a theater to see a film has been diminished. It’s the age where if you want to see a film, you buy it at home, or watch it on Netflix, etc… The uniqueness of the theater has worn off in a way. This is why I’m always so excited to talk about 4DX and what they are doing to bring back the magic of heading to the movies. It’s a thrilling thing because I remember the feeling I would get as a kid, going to the movies, smelling the popcorn, seeing the neon lights and getting super excited just to be there. I get the same feeling from 4DX and I always get super stoked when I’m able to introduce it to someone for the first time. “Movies are no longer confined to the screen. 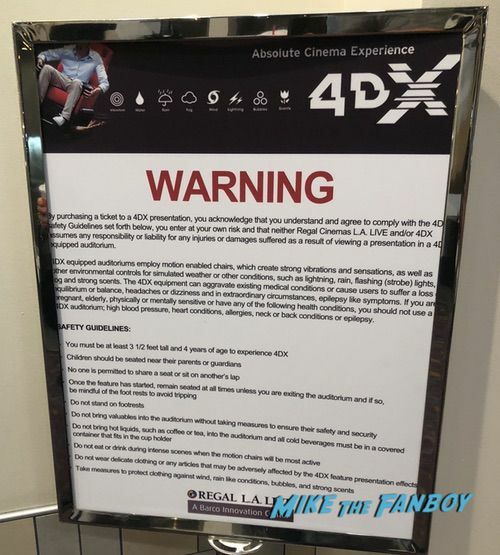 4DX draws you into the movie as if you’re living inside its world. We provide the largest number of multisensory signature effects industry-wide. With 20 different kinds of signature effects, 4DX creates the most outstanding environment for movies. I was lucky enough to catch a screening of Jurassic World: Fallen Kingdom this past weekend and I have to tell you, it was pretty awesome. I knew that it was going to be a fun experience because 4DX really enhances the film, so no matter if you love or hate the movie, 4DX makes the experience really fun. I also knew with the dinosaurs and action sequences, the 4DX would be turned up to 11 on the fun scale. I mean, when you’re going to see a movie like Jurassic World: Fallen Kingdom, you really want to see dinosaurs, Bryce Dallas Howard running from a T-Rex in high heels and Chris Pratt trying to act all rugged and manly. I think I got pretty much all three, except Bryce Dallas Howard might have been wearing flats this time around, which showed smart character choices. We were treated to a whirlwind of water, lighting and smoke effects as well as moving seats. One of the best things this time around was the lighting effects. They really helped bring me into the action on screen, just seeing the strobe and lighting out of the corner of my eye, made me feel like I was a part of the action. It was pretty damn cool, I will admit. 4DX keeps expanding my leaps and bounds and I can see why. I really think that this is the next generation of movie going and we’re on the cutting edge of what will be mainstream in the next 5 to 10 years. In particular for Jurassic World: Fallen Kingdom, I almost felt like I was on an extended theme park ride. It was such a unique experience. I can see this being an attraction at Universal Studios, just them showing the full film in 4DX, that’s how cool it was. The ground shook as each dinosaur walked, the ominous rumblings of the water sequences, especially at the beginning of the film, all of it really added up to an amazing experience. 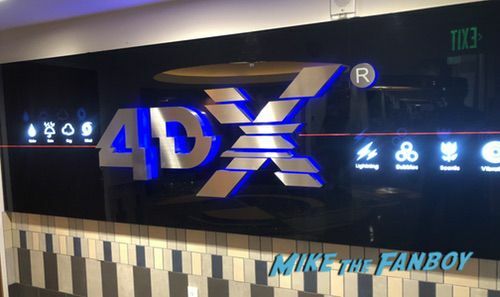 If you live near one of the cities that have 4DX or are visiting a city that has 4DX, I highly recommend checking it out. I think you’ll fall in love with the experience. 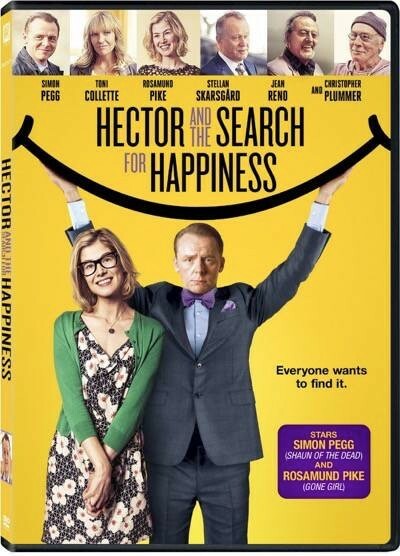 Hector and the Search for Happiness DVD Review! Did Simon Pegg Find The Secret To Being Happy! Why Him? Blu-Ray and 4K UHD Review!